The internet might allow millions of people to work from home, sending vast amounts of data across vast expanses, but sometimes that isn’t fast enough. That’s why Amazon, in an effort to encourage companies with enormous databases to move over to its web services, known as AWS, is offering to quite literally come and pick up data using an eighteen-wheeler truck. That’s right: For mammoth-sized stores of information, moving it physically is faster than transmitting it over the internet. 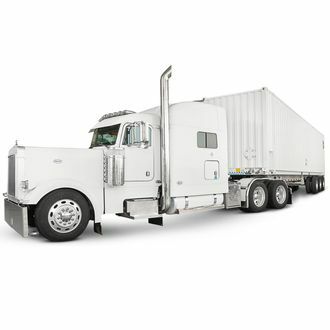 The Snowmobile rigs, as they’re known, come outfitted with a 45-foot shipping container that has a 100-petabyte storage capacity. One petabyte is 1,000 terabytes. The company, however, isn’t promising lightning speed. Ten Snowmobiles would reduce the time it takes to move an exabyte from on-premises storage to Amazon’s cloud to a little less than six months, from about 26 years using a high-speed internet connection, by the company’s calculations. As funny as it may seem, Amazon’s announcement (which, to reiterate, is for large-scale enterprise customers using its web-hosting services, and not people trying to get a good deal on socks) is yet another reminder of the physical limitations of the internet.